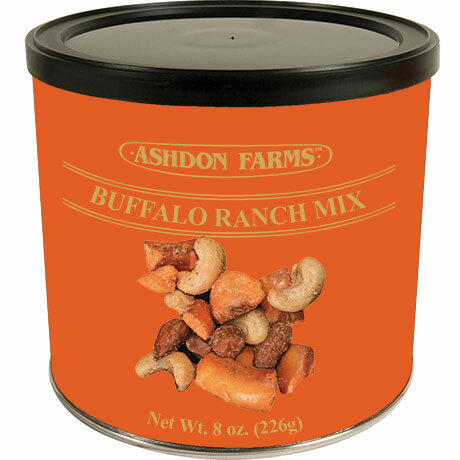 Ranch coated almonds and cashews mixed with pretzel pieces bursting with spicy buffalo flavoring. Pull-top can with resealable lid. 8 ounces.